Live music at the Tree House – magic! Live music is such a joy. We are exposed to so much recorded music that the whole experience of listening to music has been devalued. Don’t get me wrong – I am thrilled to be living in an age when I can listen to music whenever I want to, and have easy access to my favourite musicians on record and via digital means. But we take music for granted – music, one of the most extraordinary achievements of the human race, taken for granted! Music as both a participatory and a listening experience is beneficial – scientists have shown this time and again. I remember Roger Bannister on Desert Island Discs – a doctor, a man of science, but also a violinist, and he said the power of music is what happens in the brain between the sound being made and our enjoyment of it. Something that can’t be explained, physiologically or otherwise, but is nevertheless very real. That’s what the Tree House is about – promoting those areas of human life that can’t be explained but are very real and hugely important to our welfare as individuals and as a society. That’s why we call ourselves a community hub – we are here to draw people together through literature, music, film, crafts and art history, generally known as the Arts, which are not seen as crucial to our survival but without which we are less than human and survival is a bit pointless. They are part of what we are. We showed Werner Herzog’s amazing film Cave of Forgotten Dreams last year, about the cave paintings in the Ardeche that are 32000 years old and that show the importance of art as intrinsic to the experience of homo sapiens from the dawn of history and into the pre-historic era. Blimey, this is getting lyrical. It’s all meant as a preamble to promote our live events at the Tree House, and especially our music events, which are such a treat. We focus on acoustic, unamplified music (sometimes a singer will bring their own PA equipment because it suits their style of music), as we are a small venue and that seems to work best. We are building a wishlist, and have some wonderful people coming soon. We want to support live music and pay the artists their stipulated fee or 100% of the ticket sales. For us, it’s the chance to provide this community space through music, and hopefully sell a few books and bring in more customers! We are not licensed but you are very welcome to bring a bottle to any of our gigs; we can provide wineglasses and bottle openers, and we charge £1 corkage. We always offer tea and coffee (including herbal teas and decaffeinated versions of both) at £1 a cup. So do consider coming along to our music events. It’s disheartening for us and for the performers when only a handful turn up, though a small, appreciative audience is always a joy. To have the people we are lining up performing in Kenilworth is a huge treat and the chance to hear stars and rising stars doesn’t come to town very often. Take off your headphones and come and hear some fantastic music live! Here are our upcoming music events, more details soon on the Events tab (already on Facebook if you are that way inclined!). It’s been a strange week – I blame the Strange Face! Our wonderful event last Friday has been followed by a week of not feeling at all well, and the shop has been mostly closed as a consequence. 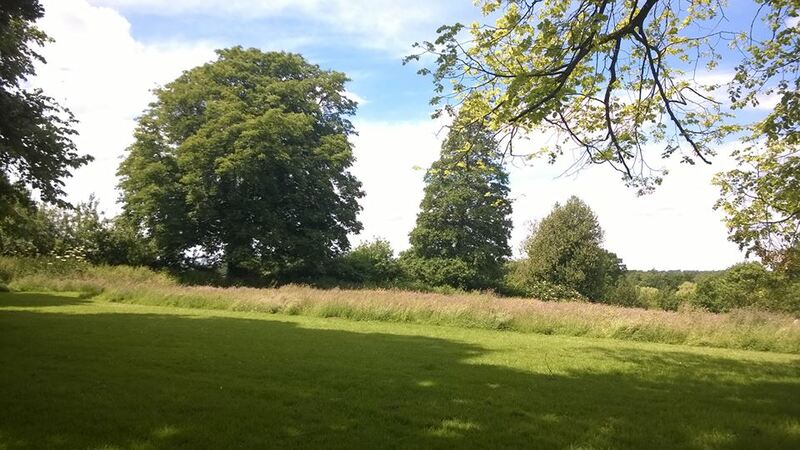 One thing I did was to sit in Abbey Fields for an hour or so, something I rarely get the chance to do, and the fresh air and the smell of grass and eating my lunch outdoors were wonderful – I love all the trees there, and the fact that they have left part of the grass to grow wild – hurray! Huge thanks to Angela who opened the shop on Thursday and even made cake before she came, and to Ginny who helped out – it was quite a busy day, thanks to the warm weather and the market. We’re back to normal from Friday – well, the bookshop is, not sure about me! I have been thinking a lot about events since the amazing Strange Face evening. We have only had a few events since we reopened, but they have all been fabulous – have a look at the Events page for a few photos. I am going to try and get together an events committee, to pool ideas and contacts and spread the load of organisation. If you’re interested in being part of that, do get in touch – we need both people with ideas and also people who can help put them into practice – they may not be the same people, but it would be great to bring a few people together! Email victoria@treehousebookshop.co.uk if you’d like to get involved. Our next event is on 17 July – wonderful singer Daria Kulesh will be singing for us, should be a fantastic evening. More soon, but have a look at her website or find her on youtube. Just £5 – tickets now on sale, advance purchase is always good! Meanwhile here is a video I’ve been meaning to share. We had the gorgeous Ailsa Tully come and sing for us with her electric cello a couple of weeks back – only about ten people came, which was a shame as she was *brilliant*, but those ten had a great time. Ailsa’s boyfriend Joe filmed one of the songs and they sent me the video – enjoy. And when we get her back at some point in the future, come and hear her live! 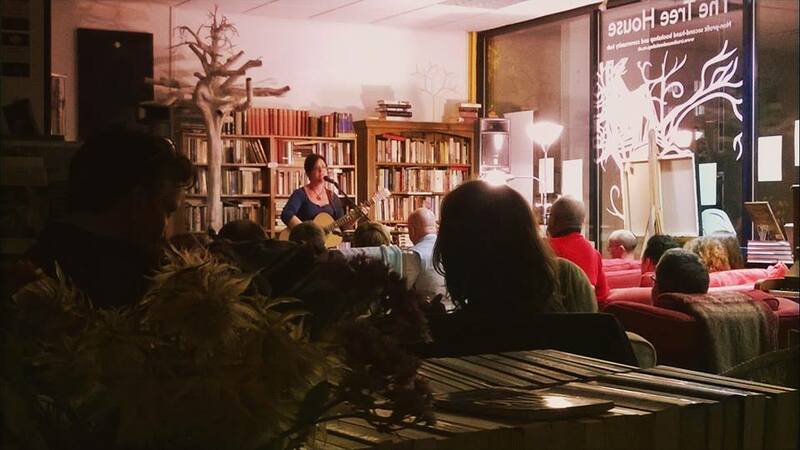 Come to all our events – they are wonderful.